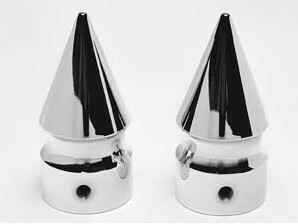 Decorative chrome plated chopper style pike nut covers add a custom look. Easily installed with set screws. Set of 2.